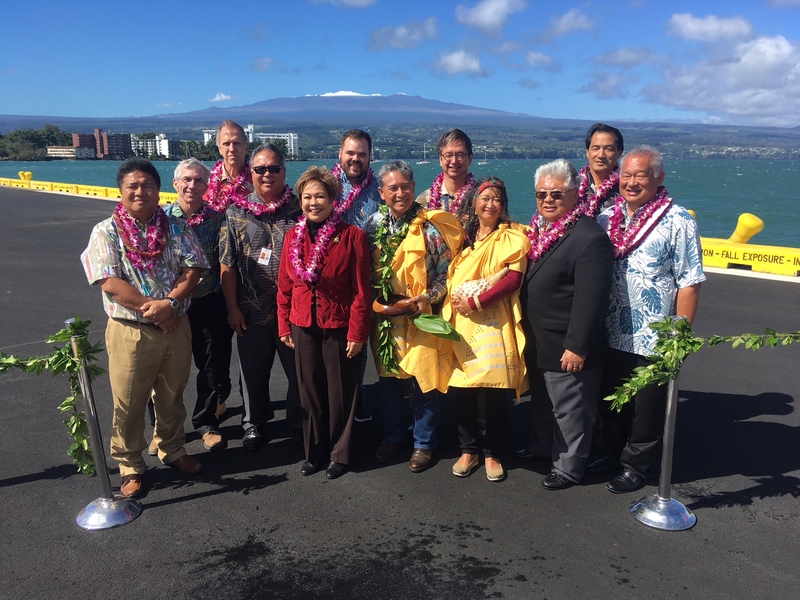 HILO — The Hawaii Department of Transportation (HDOT), Harbors Division, celebrated the blessing of Hilo Harbor’s newly completed Pier 4 cargo wharf project, the Pier 1 cargo yard and passenger terminal improvements. The projects are designed to increase operational space and increase cargo handling efficiencies. The improvements to the passenger terminal will create a more pleasant and comfortable environment for cruise passengers. 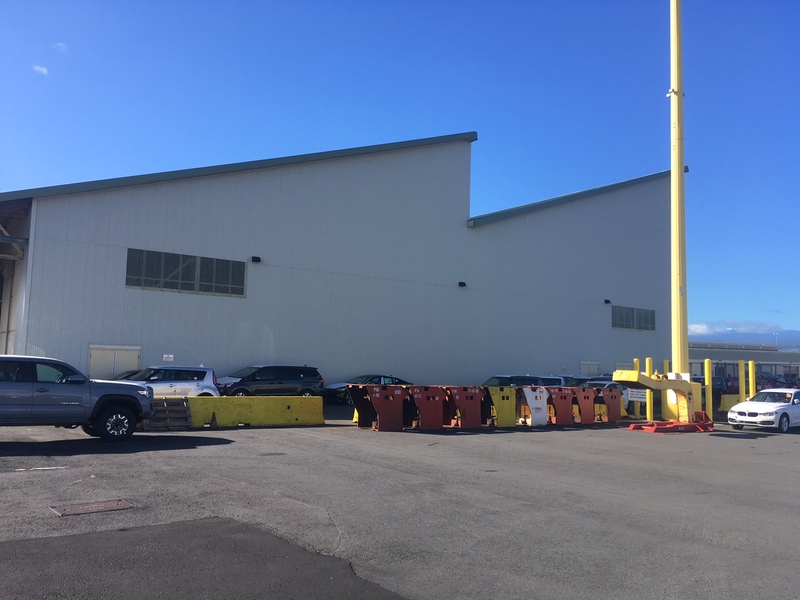 The Pier 1 Shed Modifications, Phase II project consisted of several improvements that upgraded the operational efficiency at Pier 1 by removing approximately 40 percent of the Pier 1 shed structure. This will allow vessel operators improved utilization of the pier, increasing cargo yard capacity and improving the cruise passenger experience. In addition, there is new asphalt concrete pavement, fire protection and lighting in the new cargo yard. Other improvements to the Pier 1 shed create a more pleasant and comfortable environment to enhance the cruise passenger experience in Hilo. They include renovated restrooms, a new security room, a new fire alarm system and additional fire sprinklers throughout the shed. Work also included lead paint and asbestos abatement and disposal. Development of the Pier 4 cargo terminal was separated into several phases including: dredging, container yard development, and Kumau Street improvements. 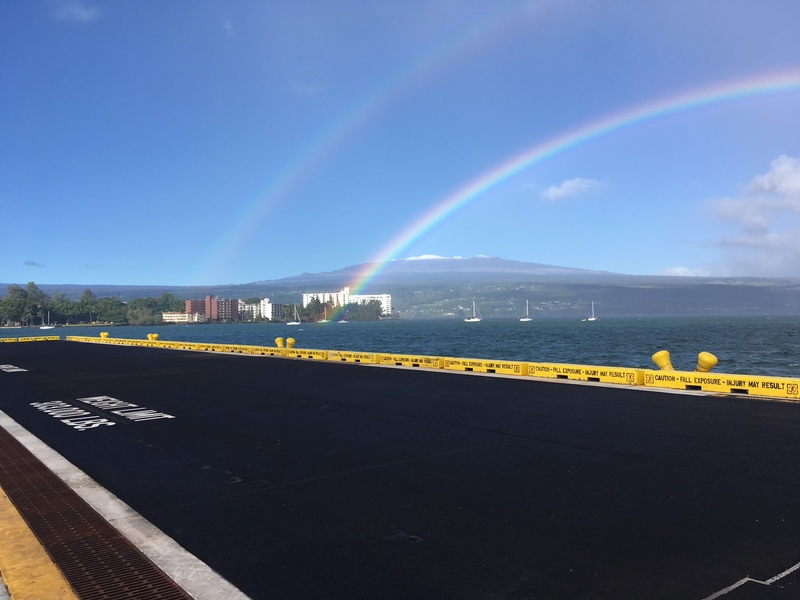 In addition to the newly constructed Pier 4 wharf structure, safety and efficiency improvements were made by separating cargo and passenger operations at Hilo Harbor. An additional berth space was also created to accommodate the growing general maritime and cruise industries. 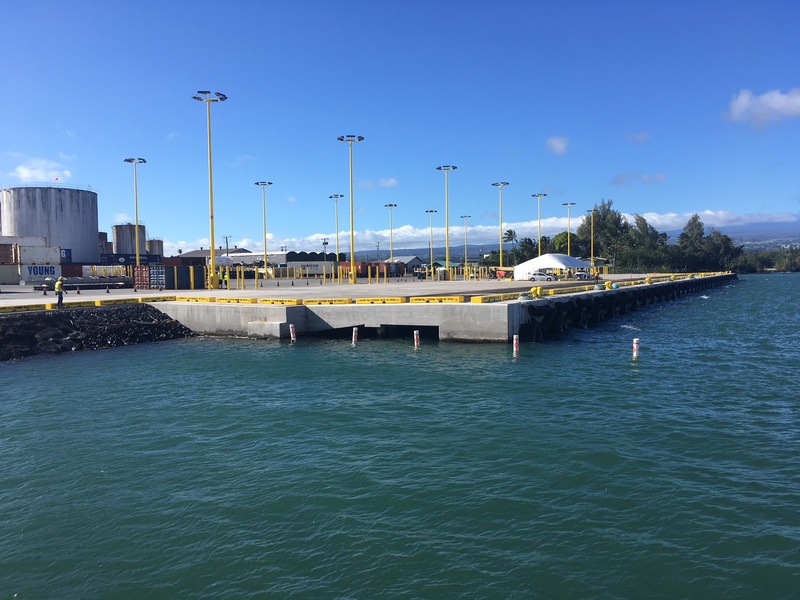 Finally, a new interisland pier replaces the aging Pier 2, which is unable to accommodate the new container handling equipment and vessels. 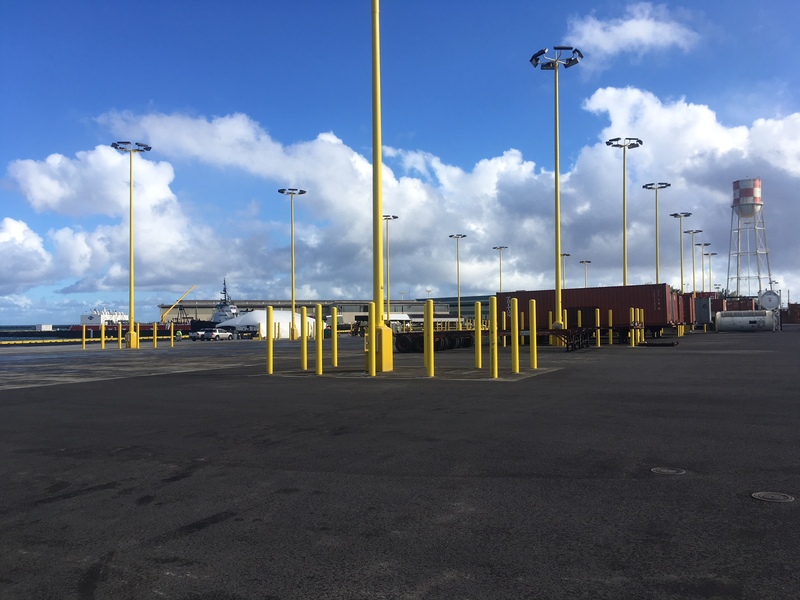 The Pier 4 terminal project adds much needed cargo capacity to the Port of Hilo. Constructed in the early 1920s, Pier 2 cargo activities are restricted, limiting operations and full utilization of the terminal space. 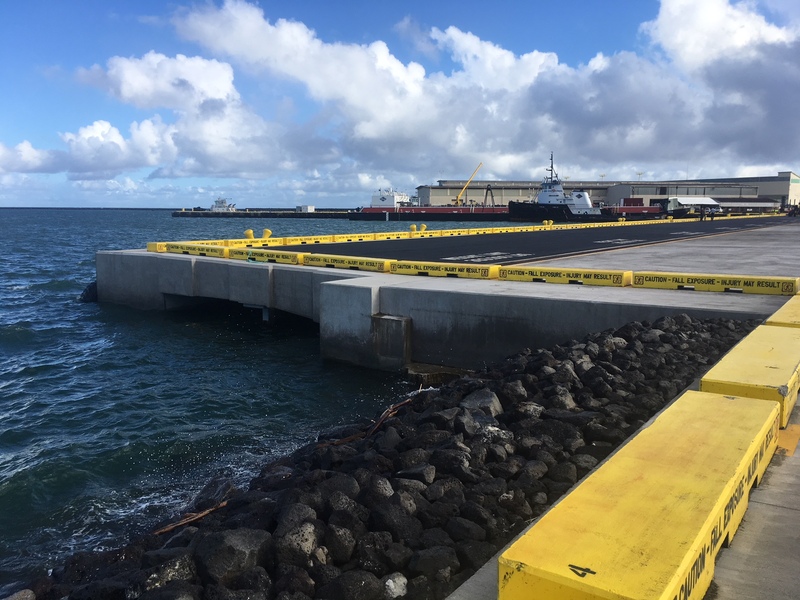 Delivery of interisland cargo on Pier 2’s narrow apron requires use of the area between Piers 1 and 3, creating a comingling of both cargo and cruise ship operations that compromises the safety of passengers and pedestrians and affects cargo operating efficiency. Kahu Danny Akaka Jr. performs a blessing of the Pier 4 cargo wharf project, Pier 1 cargo yard and passenger terminal improvements at Hilo Harbor.